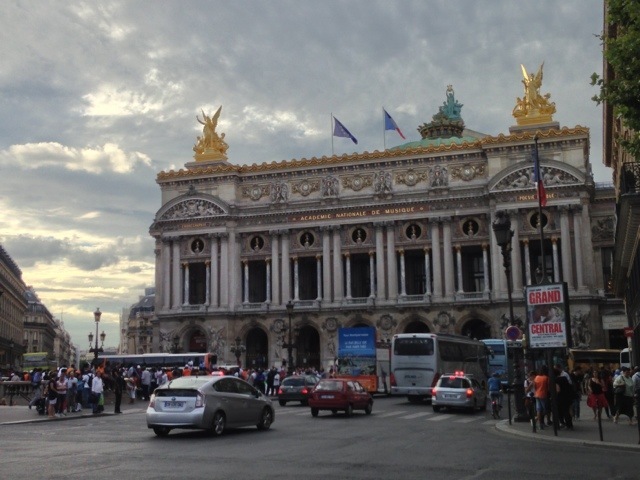 We’re finally here in Paris! But alas, different to our (mostly Elok) perception as romantic city, Paris in summer is far away from that. It is crowded, hot and a bit dirty in places. But Paris is Paris, a city where couples are in best place to be romantic, so you can see them hugging and kissing around all over the place *doh*. We did enjoy our time though, gathering with the thousands of crowd in Louvre and Eiffel park last night. And to be honest, a lit up Eiffel at night did live up its expectation. 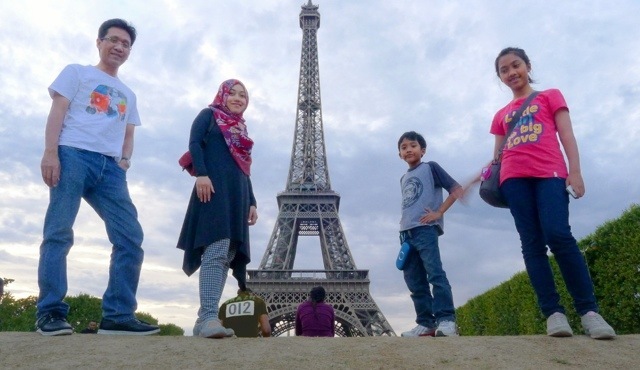 So of course, you can’t leave Paris before taking picture with the majestic landmark, can’t you?